Suitable for upper primary and lower secondary. Information taken from Euroclub Schools website. Information on different elements of Semana Santa, predominantly in English but with key words in Spanish. Print off slides 6-13 and stick up round classroom. Sheet for pupils to go round the room and find the key information. 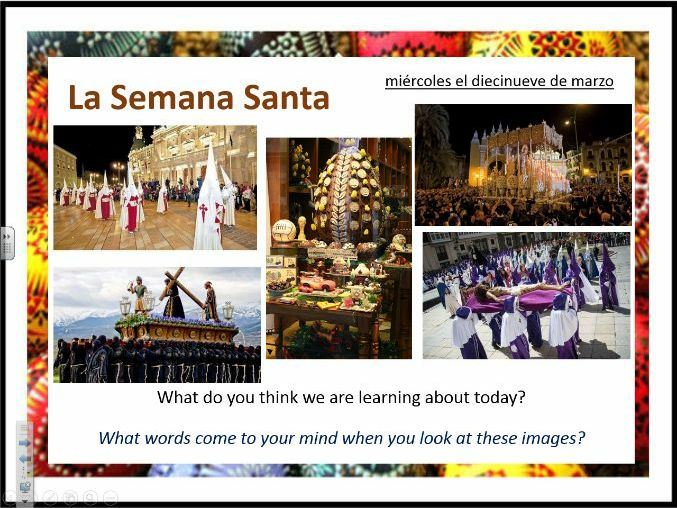 Follow up activity for next lesson - instructions to make a Powerpoint about Semana Santa. Kahoot quiz to check understanding.